Prima ballerina and artistic director Nina Ananiashvili is at home on stages around the world. She has performed with the Bolshoi, Mariinsky (Kirov) Ballet, New York City Ballet, Royal Ballet, American Ballet Theatre, Royal Danish Ballet (the first Russian ever invited to perform with them in Copenhagen), among many, many other companies. Ananiashvili is the rare dancer who moves across national and stylistic boundaries, inhabiting characters created by Bournonville and Balanchine with equal aplomb. She has portrayed Giselle and Juliet, firebirds and fairies. 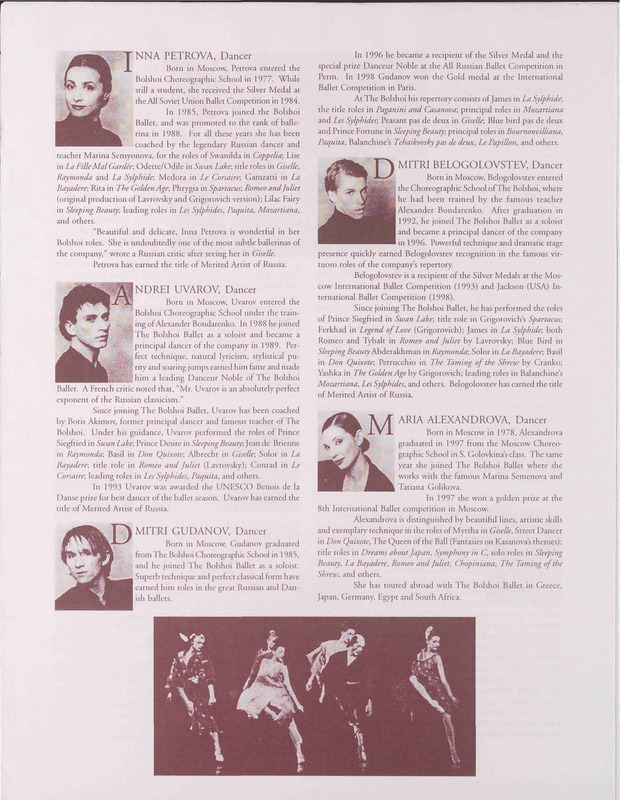 She first appeared at the Pillow in 1999, with a production called Nina Ananiashvili and Principals of the Bolshoi Ballet. 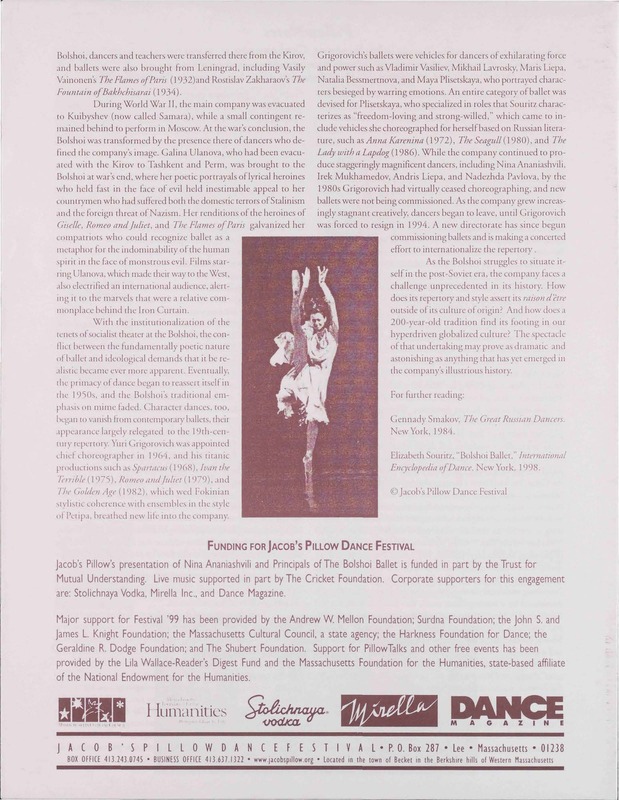 The PillowNote written Jacob’s Pillow scholar-in-residence Suzanne Carbonneau placed Ananiashvili and the Bolshoi Stars’ appearance in the context of Russian ballet history. 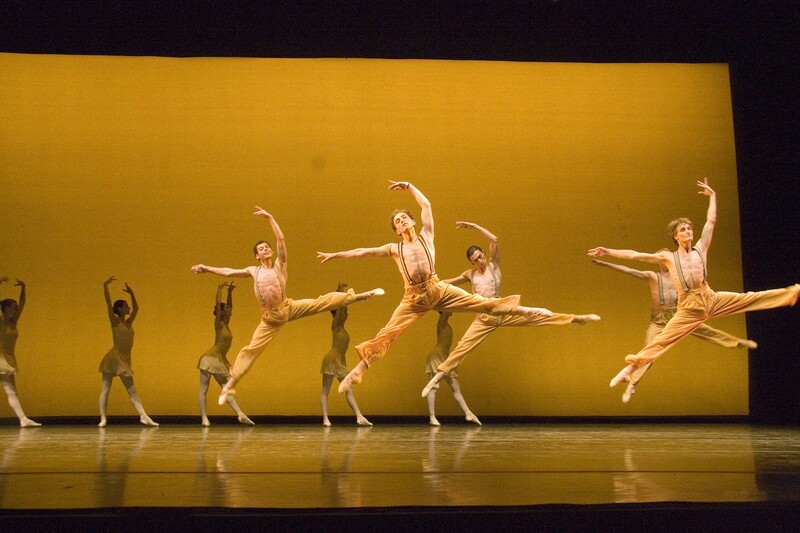 The evening included two works by not-yet global superstar choreographer Alexei Ratmansky, the first performances of Ratmansky’s dances in the United States. 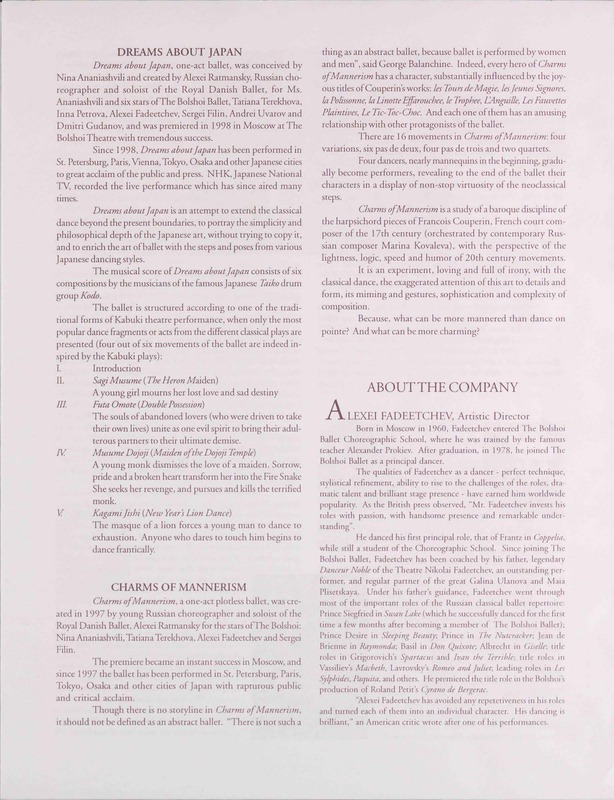 In 2004, Ananiashvili received an invitation from the president of Georgia to become artistic director of the State Ballet Company. At first surprised by the offer, Ananiashvili came to see it as an opportunity to do something with her people. She already had more than 100 roles in her repertory. So why not take another one? That of artistic director. 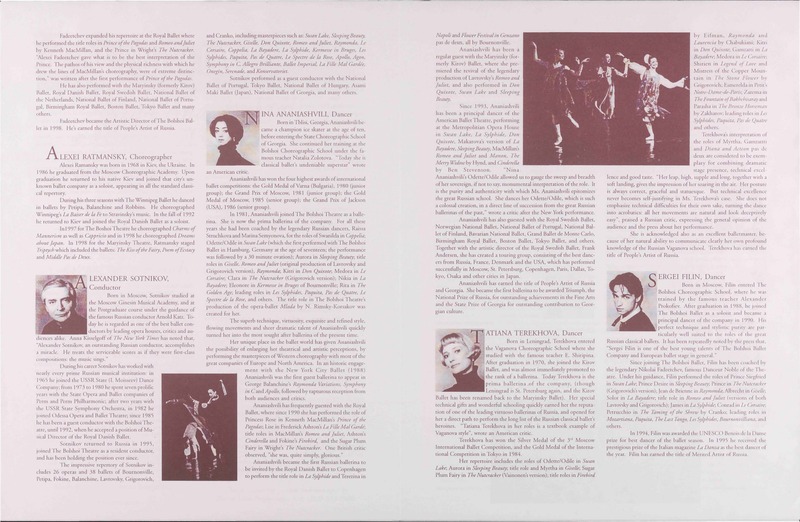 That said, she became more than the artistic director; she has also been a principal dancer. The last time a star ballerina founded a national company with her president’s help for political glory was Alicia Alonso in Cuba in 1960. Not altogether dissimilarly, the new State Ballet of Georgia has been made a national priority in the European-style democracy emerging in this fascinating country that now refuses to be Russia’s summer playground any longer. The State Ballet of Georgia has made two appearances at the Pillow under Ananiashvili’s direction, in 2007 and 2010. 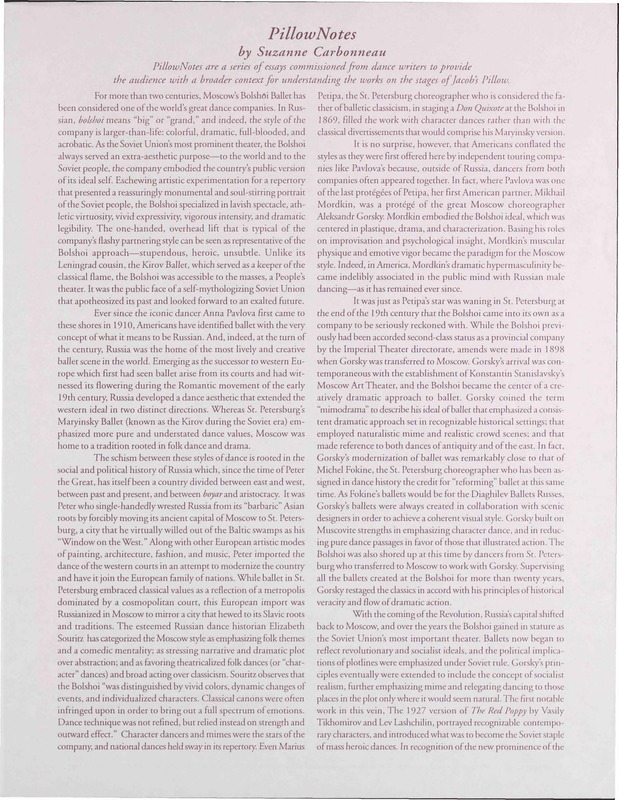 Ananiashvili went on to say that Ashton’s ballets, if not ageless, are of timeless value. 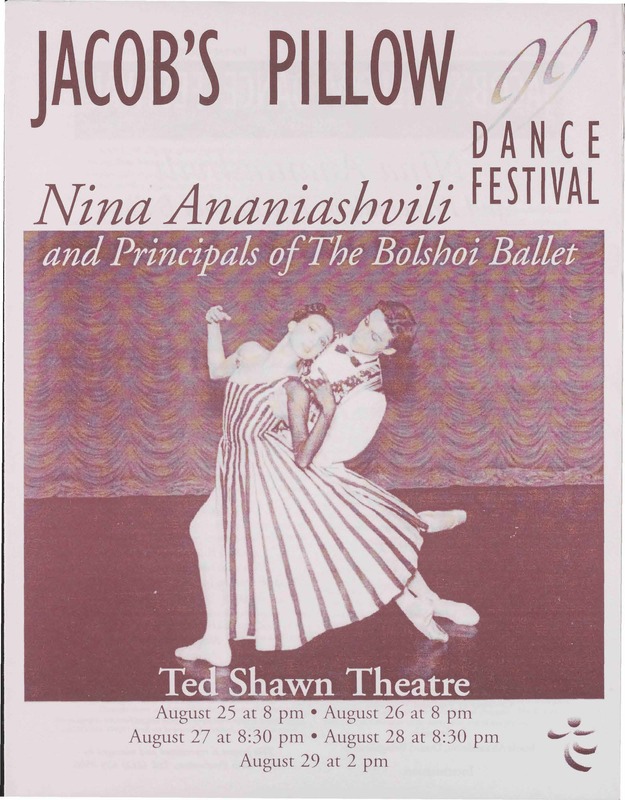 Margaret Fuhrer, “Nina Ananiashvili Brings Ashton to the Pillow” Pointe June/July 2010. 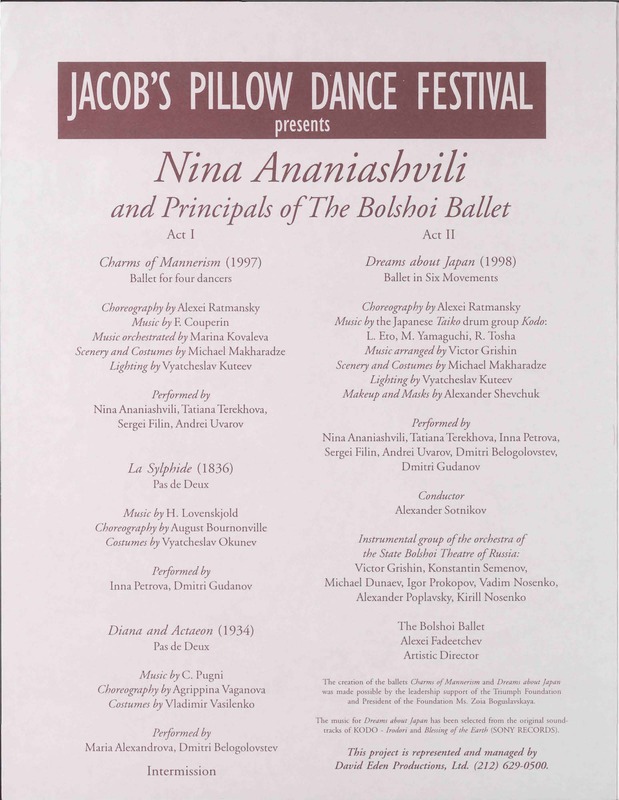 Ananiashvili also performed the signature Michel Fokine solo The Dying Swan on the 2010 Jacob’s Pillow Gala, accompanied by cellist Yehuda Hanani and pianist Ramona Pansegrau.